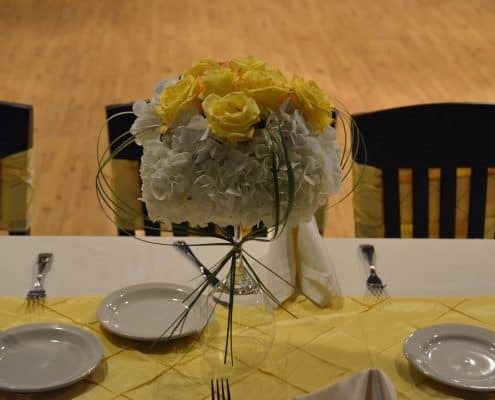 As you’re planning your wedding, your rehearsal dinner, your wedding reception or dinner, be sure to get a quote from 39 West Catering. Our team has been catering weddings in Raleigh for almost 20 years, with hundreds of thank you notes from delighted families. How can we help you? Our Wedding Menus are here. You can reach us at 919-533-0145. Let’s explore wedding venues in Raleigh where you can bring your own caterer. Will You Be Having Your Ceremony and Reception at the Same Venue? Do you want a venue where you can have your ceremony and then your reception? Everything in one location? All-in-one? Or will you have your wedding in one location and then travel to another location for the reception? Either way, the following list of all-in-one Raleigh wedding venues below will be helpful. An all-in-one wedding venue is a location where you can have your wedding and your wedding celebration all in one location. No extra driving. No guests getting lost. No extra traffic to worry about. Once everyone arrives, everyone can stay. Charming All Saints Chapel is historic, with an open floor plan and 18 foot ceilings, stained glass windows and beautiful woodwork. In addition to that, all religious denominations are welcome for your wedding ceremony. Though the site was a church, it is no longer a church property. Capacity is up to 200 guests, and there are several locations for your reception. This special venue has gardens, fountain, lit pergola, an authentic barn, and pastures where you can have a wide open wedding. So you’ll have many settings choices to work with. You’ll find room for hundreds of guests. You can also consider The Stockroom at 230, Market Hall and Merrimon-Wynne House in downtown Raleigh. There are so many more venues that we’ve worked with, and we will be adding them to our list as soon as we can. If you’d like to recommend one in Raleigh, email us. Have a look at our Wedding Menus. Download a copy from the links at the bottom of the page. Have a special menu you want, talk to us? We can do just about anything! We’ve even trained with a bride’s mother-in-law to cook the family recipes for the wedding dinner! Call us with any questions 919-533-0145, we’re here to help. Or send us a note with our Contact form. We’re 39 West Catering and providing delightful service is what we do. We have 20 years of catering experience. We know catering. Let us cater for you.